I have been honoured to have been a member of the LARIA Council for over ten years and since 2012 the Chair. This is my last LARIA Conference as I move on personally to a new role in evaluating central government communications. I would like to thank all LARIA volunteers over those years, locally and those on the LARIA Council. We would not have achieved so much if we had not worked together, and we should all thank them for donating their time and effort. It is a good time to hand on the LARIA baton to someone else. These last six years have been a time of change and challenge for local and national government, as well as for the national psyche. LARIA too has changed and faced challenges. It is no co-incidence that my illustrious predecessor as Chair, Andy Davis, became LARIA’s Treasurer. An important role I would like to that him for taking on, ensuring that not only does LARIA act prudently financially, but also that we can invest to develop it further. LARIA is a voluntary organisation but at its heart we have structures and contracts in place to ensure that member’s interests are protected. Andy has also led on developing the role of the trustees who I would also like to thank, in particular Professor Tony Bovaird one of our longest serving members. Andy also established the role of the Honorary President, ably held by Martin Reeves since then. Over the last decade or more we have at times seen challenges in terms of declining membership numbers, conference attendees, income and rising costs. With determination, and our active band of volunteers, we have survived but still face significant challenges. Membership numbers have stabilised and increased to over 1,100 individuals members in line with previous highs, but our corporate membership has halved to under 100 members. Our income is steady and in balance, but it is likely just as we have made a small surplus in recent years, rebuilding our reserves, that this year we make a small loss. Under the leadership of the Event’s group Chair, Gerallt Evans-Hughes, our conferences have gone from strength to strength. I would like to thank him and the Event’s group for continually seeking out and persuading the best speakers to join us and share their expertise. I am proud that we not only have a high quality spring conference but one in autumn too, when just a few years ago we wondered if we could afford to put on conferences at all. I would also like to thank Sarah Byrne, Sarah Welsh and the team at Mosaic Events for their continued high quality organisation of our conferences, and of LARIA administration more generally. The challenges we have faced have made us build strong foundations. We developed the LARIA Charter, setting out clearly what our members should be aiming to achieve. We set out clearly that LARIA members improve lives and local areas through the use of local research, intelligence and policy. We also refreshed and rebranded our communications and developed guidance on competencies for local researchers. Our website is well rated by members, a valuable resource, and we know our newsletter is well received. We have built partnerships. We merged with BURISA and more recently SSRG, the latter forming an active group within LARIA in the area of social services research. I would particularly like to thank Martin Stevens and John Woolham for their work in bringing the two organisations together. This has brought new ideas and new services to LARIA members, including the SSRG bulletin and Research, Policy and Planning journal. There have also been close links with organisations such as the MRS, SRA and the ESRC. I would also like to thank Neil Bendal and Deana Leadbeter for their work in bringing us together with the Public Health world through the Health Statistics User Group and support across a range of activities. Our commercial partnerships have been taken to a higher level with our new LARIA Partnership Programme. 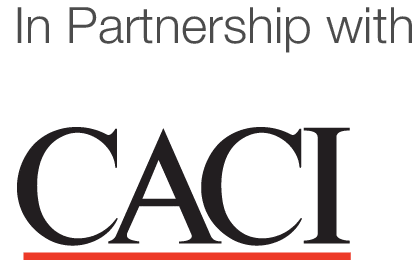 The first with CACI to help LARIA members more effectively apply geodemographic segmentation to improve local areas and the lives of those who live there. By understanding more about their local populations they can ensure that limited resources are targeted more effectively and service standards improved. Our partnership highlights areas of best practice and empowers members to develop new ideas using geodemographic segmentation and insight. I recommend again reading their White paper released last year and of course finding out their latest thinking in this year’s conference session. I would like to thank Stewart Eldridge and Patrick Tate for their support in developing this partnership and all their support for LARIA and its members over the years. I’m also grateful to all our exhibitors of this year’s LARIA Conference, and hope some of them might join as our second LARIA Partner. It is vitally important that we form these links, and our aim is always to ensure we advance understanding together and generate new content and ideas for members. Our conferences and all our work brings different voices and ideas together, sparking off new ones and helping us all deliver, and I look forward to seeing this continue. Our local groups have run fantastic events and networking and I would encourage all members to seek out their local group and get active. I would like to thank all those who have stepped up and led these groups now and over the years. Erin Murray and Andy Baker have also been active members of the LARIA Council, and others have won our volunteer of the year award to recognise their contribution. These networks are of huge value but require members to offer to share best practice, support each other and if possible provide a room to hold an event and a few biscuits. If not why not just arrange a coffee or trip to a park? It is the networking that matters, not the administration, and I would encourage all members to get out there and take part. I’ve been particularly proud of the relaunch of the LARIA awards. Now entering it sixth year there have been over 30 winners, with many more shortlisted and high commended. We share winning entries on the website and I have seen the certificates up on the wall with pride when I’ve visited LARIA members. I know that these awards have helped members learn from each other and show the value of their work internally and externally. The quality has been consistently excellent and I have learnt a lot in helping to judge them. The Intelligent Council project is also something I am proud we have helped initiate with the LGA and Solace. The vision has developed into a place where users can go to discover what an excellent research framework looks like with pointers to guidance, advice, discussion and suggested online resources to improve the culture and operations of research in their organisations. So far we have undertaken market testing to see if there is interest and to determine the priority areas where users would wish us to focus initially. Our LARIA member, Richard Potter, led this phase and the Intelligent Council Phase 1 Final Report is available online. Over the past 9 months, we have been working with the LGA, Solace, Nesta and commercial IT developers to consider the potential for a new online knowledge sharing hub for public sector organisations working towards good research practice and making better use of data in evidence-led decision making. We are now looking to specify what form we wish for this pilot online service to take and will commission early developments in coming months. It will set out the framework of assets, characteristics and work practices that make for good research and data use and will guide users to example sources, opinion, user discussion forums and case studies where successes are likely. We will populate the resource with initial materials identified under exploratory research last year and undertake a promotional campaign to encourage participation and self-sustaining growth as others add materials, begin discussions with each other online and review and score the various capabilities and resources that begin to emerge. The LGA have also been working with Nesta to develop an online data maturity self-assessment model, which I know is already been well received. I would like to thank Richard Potter for his work on the Intelligent Council project, and Juliet Whitworth and Tim Adams from the LGA for the investment they have put in. Also Kate Waterhouse from Manchester City Council and Solace has been heavily involved in driving this forward, and I am pleased that at the AGM she will now also be joining the LARIA Council along with other new Council members. At the AGM we will also find out who the new Chair is. The Vice Chair, Mike Walker, will lead the process and I would like to thank him for all the work he has done in recent years in supporting the LARIA Council as Secretary. He has kept us on track and has undertaken substantial work in ensuring a smooth transition at the end of my term of office. Overall it is therefore an exciting time and there are real opportunities to develop LARIA more for our members and the broader public services. We have a strong foundation and as long as it’s members keep active there is a worthwhile emerging new agenda to develop and deliver on over the next few years. This year we have worked hard to identify a range of volunteering opportunities for all LARIA members to be able to undertake at different stages of their career, and reflecting the time they have to give. Help us show that LARIA members improve lives and local areas through the use of local research, intelligence and policy.